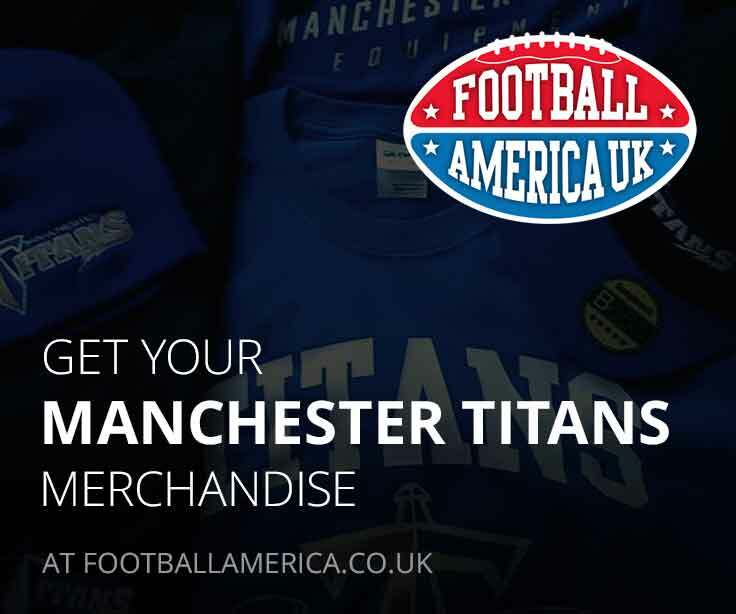 The rebooted Manchester Titans Women’s Flag Team started their campaign in the 2018 Opal Series in Sheffield on Saturday with a respectable 3 wins and 1 loss. The Team had not played Flag in 2017, instead choosing to focus on Contact, but with new Head Coach Alan Mead fresh off leading the Adult Flag Team to the MEC Premier Division Title, the team were looking forward to playing Flag again. In the first game, they set the tone early on as the defense forced the Sheffield Hallam Rangers to turn the ball over on downs. Then #16 Keely Edmonds opened the scoring with a touchdown run. QB Brianna Hartridge found #42 Morwenna Jessop for the extra point as the Titans took a 7-0 lead. #5 Hartridge would then find #12 Vicky Evans, Jessop and Edmonds for TDs, while the defense shut out the Rangers as the first half finished 25-0. Sheffield managed to reach the endzone in the 2nd half with 2 TDs, but Evans added her 2nd TD of the game as the Titans won 31-12. The second game was against the University of Nottingham Gold and was a much tougher game with both defences dominating. However Hartridge again found Edmonds and Evans for TDs whilst Nottingham could only manage one score as Manchester won 12-7. Defensively, #22 Julie Gilmour led the charge for the Titans with her sure-handed tackling. 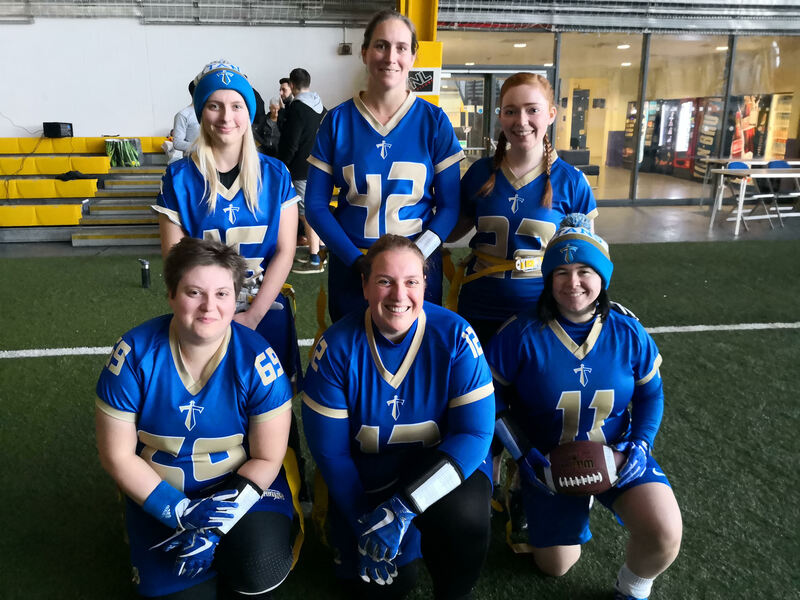 Next up was the University of Nottingham Green, the Titans fell behind early to an early TD, but the team showed great determination to come from behind. Another touchdown pass from Hartridge to Evans got them on the board before a bit of trickery saw Edmonds throw a TD to Jessop. Late in the game with the Titans up 12-7, Hartridge launched a bomb downfield to U17 North player #9 Nina Znajda who scored her first ever TD. Evans added the XP for a 19-7 lead. 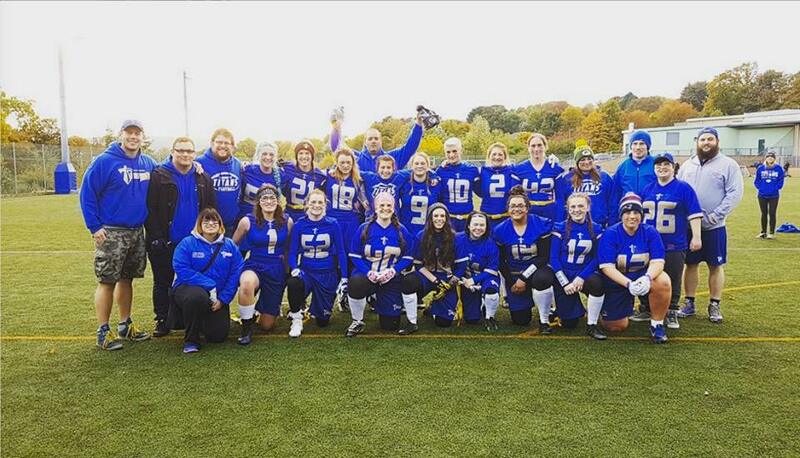 Gilmour recorded an interception on defense and Becky May, who played almost every snap on both offense and defense throughout the day, also picked off the Nottingham QB. With only seconds remaining, Nottingham added a conciliation score to make the final score 19-13. The toughest game of the day was last, playing the Sheffield Hallam Warriors. The long day took its toll on the Titans as they struggled against a well-organised Hallam outfit, with fatigue starting to show. 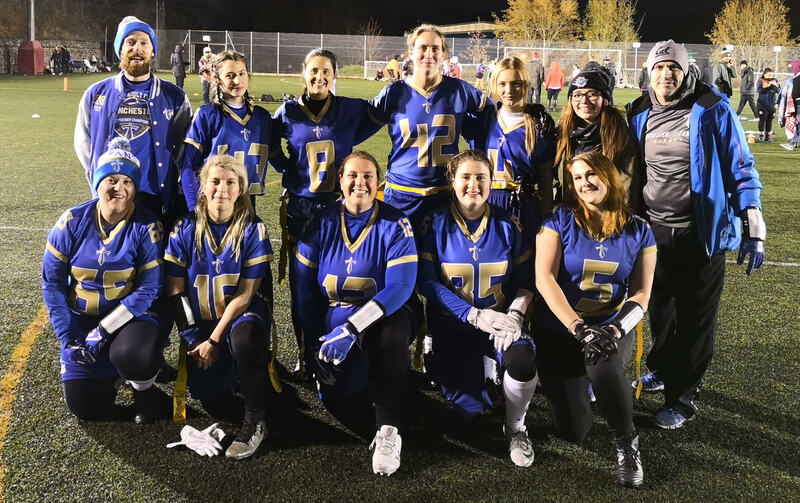 Despite a couple of interceptions, QB Brianna Hartridge showed great resilience to lead the team to 2 late scores, both to Keely Edmonds, with Vicky Evans adding an extra point. A 53-19 loss was disappointing after how well they had played earlier in the day. However the 3 & 1 record is a good start for the season. The next tournament is again in Sheffield on October 20th, but it’s not too late to join the Titans – the team trains on Tuesdays from 8pm to 10pm and Saturdays from 12pm-2pm and is open to all females aged 16+. No experience necessary just come down to training at the Manchester College, Nicholls Campus off Hyde Road.